As we write this, we’re coming to the conclusion of November and National Diabetes Month. It’s a good time to cover some of the basics of this incredibly common, and also potentially very serious, illness. To begin with, at its most basic, diabetes is an illness in which the body fails to produce enough insulin to handle the amount of sugar in the blood. 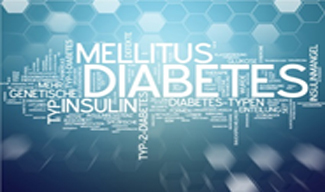 Type 1 diabetes is present early in life and is not associated with lifestyle issues. Type 2 diabetes is more commonly associated with obesity and other factors, though there is also an important genetic component. It generally, but not always, shows up in adulthood. (Unfortunately, as more young people become obese, more are also developing diabetes.) Finally, there is gestational diabetes, which creates issues for many pregnant women. While diabetes is a highly manageable illness in many cases, its impact can also be hugely devastating – even if you almost never hear diabetes listed as the direct cause of death. This is because diabetes greatly increases the chances of many serious problems, including heart attacks and strokes, two of the most frequent causes of death and disability. Less well known, it can also threaten the kidneys, especially when combined with hypertension (high blood pressure). Aside from being life threatening, if you’ve ever been to a kidney dialysis ward or known someone who was seeking a kidney transplant, then you know something about the intense heartache that can be associated with nonfunctioning kidneys. That’s not all, diabetes is associated with certain types of blindness, and neuropathy is an all-too common syndrome which can cause numbness in the foot. While this might not seem like a terribly serious issue on its own, losing the sensation of pain can cause important injuries to go unnoticed. Foot amputations in patients with advanced cases happen more often than they should. Managing diabetes may involve the use of insulin and a growing list of other drugs which can help the body to better handle its blood glucose levels. For most type 2 diabetes patients, however, the hardest part is controlling their weight and eating correctly, two issues that tend to largely go hand in hand. Most of the guidelines for healthy eating for diabetes patients are the same as for other people: keep the consumption of carbohydrates and fats to sensible levels and generally eat a diet high in fresh vegetables, whole grains, and lean forms of protein. As obesity has increased, so has the prevalence of diabetes. The good news is that, while obesity can be truly difficult to fight, it can be limited or prevented. And most cases of diabetes can be managed and the damage associated with it can be limited…as long as we take it seriously.